Farmer Cheese is a catch all kind of cheese; meaning it is simply perfect with almost anything. This traditional cheese is easily added to most dishes and easily paired with almost anything you can find in your cupboards or fridge. Generations ago, it was a common snack cheese and found in most rural households. Today, it is harder to find unless you can find a great cheese supplier that makes and supplies Specialty Cheese. Ashe County Cheese, inc. is a place where you can find Farmers Cheese. Farmers Cheese is similar to traditional Hoop Cheeses, but it has a bit of a different texture. Farmers Cheese is gets its namesake from the folks that created it – the rural farmer’s. It is simple to make and can be used in so many dishes and fillings that it always has a use, so it was made all the time. For instance, Farmer’s Cheese is delicious when used as a spread on different kinds of baked goods like bagels. Jewish dishes also utilize it in a variety of baked goods. Some like to use it as a base for a dip as well. Where to find Farmers Cheese? 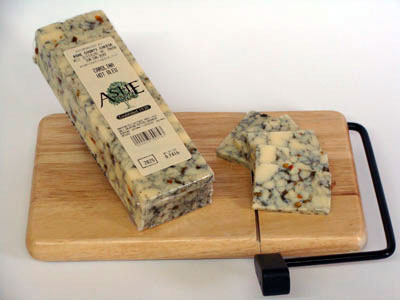 Ashe County Cheese sells Farmer’s Cheese and other types of Specialty Cheese in their Cheese Shops – both the Online Cheese Store and the physical store location at the factory in historic, West Jefferson North Carolina. The Ashe County Cheese Factory is open for touring, it is one of the Fun Things to Do in North Carolina. Browse the cheese store and Order Online Cheese.